So – now it’s April, 3018, and Gandalf returns. Which, by the way, is a sure sign that this time the Great Reread is meant to be: change the 3 to a 2, and in a couple of months I could start following the events of the book in real time. Breaking News: Hobbiton. After the Party, up till a few years ago, Gandalf checked in on Frodo periodically, “taking a good look at him”, “interested in small news about Frodo’s health and doings”. He has many irons in the fire, but he hasn’t forgotten this particular iron. He knows his hobbits, and he knows his Bagginses, and he wants to try to make sure his advice is being heeded. (Spoiler: it’s not, really.) Now, after nine years’ absence, he’s back at Bag End. ‘So do you,’ Frodo replied; but secretly he thought that Gandalf looked older and more careworn. There’s a lot in there. Frodo is fifty – and looks the same to Gandalf as he did when he was 41, and perhaps even when he was 33. That’s … not all well, all things considered. That’s not all well at all. And Gandalf has had a rough decade. I turned to Appendix B: some eight years after Bilbo left, Gandalf and Aragorn began hunting for Gollum, and continued “at intervals” over the next eight years. Looking for information, I assume, and to have him under their eyes, nasty as he is. Interesting that there’s no further detail in the tale of the years here about Gandalf’s doings between 3010 and 3018, when “The Great Years” begin, to explain the older and more careworn look about him. In previous attempts on the book, I wondered right about here where Gandalf stays when he’s in Hobbiton. I’d assume he stays there at Bag End, but this is one thing I think Peter Jackson did well (there were a few): I sincerely doubt the ceilings were very high in the hole. Hobbits like snug. But Gandalf and Frodo talk late into the night, and then is sitting with Frodo after a late breakfast. Maybe Bag End is like a reversed Prancing Pony, with one room tailor-made for Big Folk. (Which doesn’t really make sense.) Then again, I don’t think Gandalf’s height is ever really addressed, is it? He has the appearance of an elderly man, but not necessarily a tall man. 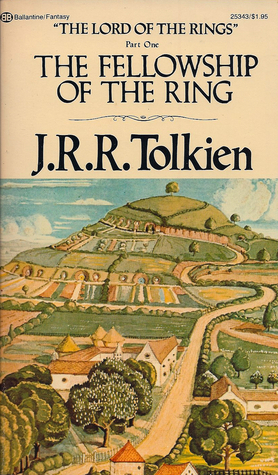 Tolkien slips something in here to which I don’t think I ever paid the least bit of attention, since after the first time I’ve always known who and what Gandalf was, but – “Gandalf was thinking of a spring, nearly eighty years before” when Bilbo accidentally set off on his adventure. Eighty years ago, for heaven’s sake – and he appeared to be an old man then. Well, he is a wizard, and has been around a lot longer than that – but even before I knew more about what Gandalf is I never really processed the fact that he should be even less likely than Bilbo to go on an adventure, in terms of age. Hey, hold on a second: “‘A mortal, Frodo, who keeps one of the Great Rings, does not die, but he does not grow or obtain more life, he merely continues, until at last every minute is a weariness. '” So even one of the Three, clean and unsullied and never used for ill, would do that sort of thing to a mortal? Huh. The autonomy of the ring (still lower-case “R”) begins to become clear. Bilbo’s buttery feeling was “a sign that the ring was getting control” – oh dear. Can you imagine living for over sixty years fighting – or not fighting – this object that kept trying to direct you and control you? At the very time Bilbo found the thing, “a shadow fell on [Gandalf’s] heart”. Through the years, there was Bilbo, not changing, and worrying Gandalf – but then there’s Saruman, Saruman the Wise, saying comforting things. He had lots of other things to worry about in all that time, did Gandalf, so he let himself be comforted. Can’t blame him. Hobbits: “Soft as butter they can be, and yet sometimes as tough as old tree-roots.” Same here. 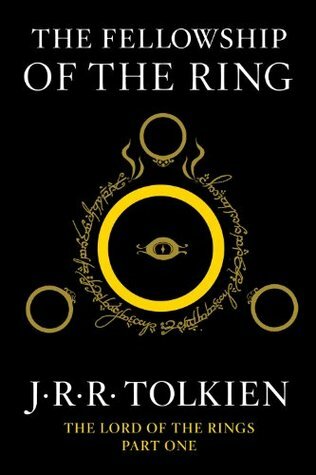 How utterly and completely horrific: throughout all the years of time, Sauron has been completely oblivious to the existence of hobbits (in however many of those years they actually have existed – and who made them, anyway? Where did they come from?) But now … he knows. And his attention is never beneficial. I should use two acronyms: INNB, “I Never Noticed Before”, and also “INOTMB” – “It Never Occurred To Me Before”. 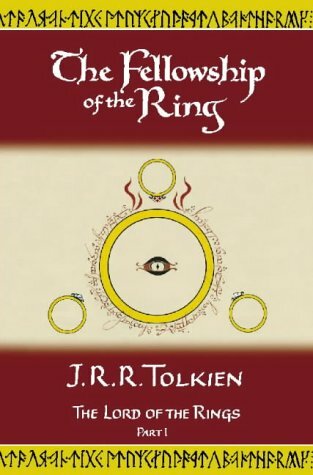 INOTMB that the Ring script we see in the book … is Tolkien’s writing. That’s kind of wonderful. “…The Nine he has gathered to himself; the Seven also, or else they are destroyed”. I still want to know about the Seven Rings. I can’t recall how much comes out in the Council of Elrond, and I’m not going to page ahead. Poor Frodo. He’s lived all his fifty years as much peace and contentment as any person can possibly expect to find, in a green and peaceful place, with money to spend and all the time in the world, all the lovely Shire to walk through, field and forest, with friends and a faithful servant, and even occasional elves and dwarves to enliven and elevate things. And now, like a bolt out of the blue, comes … doom and gloom, not just for him but for his whole world. THE whole world. His life just changed. Even though he’ll take no action for months yet, he won’t have peace … ever again, really. I wonder if Frodo was supposed to be trying to push the darkness away from him a bit by questioning what he’s being told and maybe essaying a feeble joke – or if this was an honest question. On first glance, after all, an Orc would be a much better option, evil taking to evil. Either way, he must have given a sort of shocked laugh, disbelieving (or wanting to disbelieve) that the Ring could take control of its own situation and get itself picked up by Bilbo. He’s been carrying this thing close to him for years, and Bilbo for decades before him – it would be like being told your cell phone had agency. Ah, there it is – the reason I’ll never feel much pity for Gollum. The wood was full of the rumour of him, dreadful tales even among beasts and birds. The Woodmen said that there was some new terror abroad, a ghost that drank blood. It climbed trees to find nests; it crept into holes to find the young; it slipped through windows to find cradles. Like I said: cradles. I get it – I do. The creature was starving, and hunted, and a shred of whatever he once was. But … CRADLES. The story might not be in the Tale of Years, but here is a little of why Gandalf looks older and more care-worn. Gollum led him – and Aragorn! – a weary and miserable hunt, and catching him was just as weary and miserable. I covered the amazing “Pity and Mercy” passages last time I did this, so I won’t go over it again, but … I think Frodo’s real education begins here, at age fifty with a long and bookish life already behind him. Now Gandalf is schooling him in what he really needs to keep in mind. It’s a little scary that when Gandalf tells Frodo to go ahead and try destroying the thing, Frodo gets lost in gazing at it … and thinks of it as “an admirable thing and altogether precious”. That word … Did the Professor realize he was ruining it for his entire audience forever? 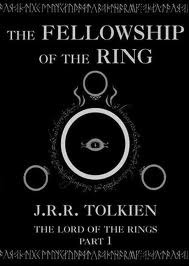 I’ve said this before, but it was a while ago, so I’ll say it again: I wonder if everyone calls the Ring “my precious” because that’s how Sauron thinks of it? Would Gandalf become invisible if he put it on? I doubt it. Discussion on the Prancing Pony Podcast (the PPP) pretty much concluded that the Ring’s effect on a person depends on their stature. Bilbo, Frodo, Sam, even someone “higher” but still very much mortal like Isildur vanishes. But then there’s Tom Bombadil. If Gandalf is younger than he is, it’s not by very much, and my impression is that their power might not be not so very different in scale. But the Ring has no hold over Tom: he doesn’t need it. Gandalf does. Badly. He knows what’s to come. “I hope that you may find some other better keeper soon.” Poor Frodo. I don’t know if I did this previously, but I’m going to do it now. A great deal of exposition happens. They speak a great deal of Sauron – and INNB how often he refers to him as simply “the Enemy”. I’ll have to ry and note if that’s used much more; I think there’s a strong element of “He Who Must Not Be Named” about Sauron. He also mentions that dragons have “consumed” some of the Rings. I assume he means “destroyed in fire”, not “ate”, because why would a dragon eat a precious jewel? (Good thing none of them ever slipped onto the tip of a claw – imagine a dragon with a Ring’s power… I doubt me they’re quite mortal.) Then Gandalf talks of the hunt for Gollum, and of what they got out of him when they caught him; it’s a long conversation, and for fun I should clock it in the audiobook. 3) No sound of Sam’s shears could now be heard. 4) Sam passed along the path outside whistling. There is another long silence, and then Gandalf prods Frodo a little. And Frodo starts to talk himself into what he already knows he needs to do, giving another of my favorite lines, about how maybe an invasion of dragons might be good for the dull and stupid parts of the Shire. He mentions his longing to go on an adventure like Bilbo’s “or better”. They both use the word “Enemy” again. Oh, and Gandalf brings up Bilbo and the Ring as well, before stating that “‘The enemy has many spies and many ways of hearing'”. Okay. That line about Sam going along whistling is just a cover, I’m sure of it. I suspect Sam was listening hard starting at #3, when Sam’s shears go silent. It’s when Gandalf gets up and opens the shutters again that Sam leaps into “not me, I’ve been working the whole time” mode, and feigns innocence by moving and whistling. But he had to have heard that part of the dialogue, because it was between #3 and #4 that the dragons were most discussed, and the only time the fiery mountain was mentioned. But he was definitely keeping at least one ear cocked for much of the conversation, because Elves were mostly discussed when Gandalf was telling Frodo about Gollum in the present. Someone might want to take a look at Sam’s work on the edging. He was a bit distracted. ‘Me, sir!’ cried Sam, springing up like a dog invited for a walk. ‘Me go and see Elves and all! 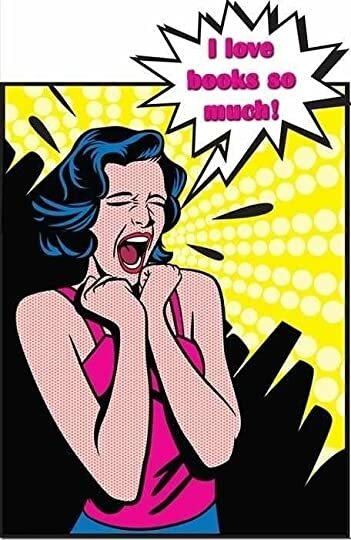 Hooray!’ he shouted, and then burst into tears. Throughout this post I’ve said (and thought) “poor so&so” … Now all I can think is “lucky Sam”. Here’s one of my more lame song parodies to finally end the chapter. When Will I Be Wrong? It’s not easy being me. Tell me, when will I be wrong? This entry was posted in books, fantasy, Favorites and tagged Chapter 2, J.R.R. 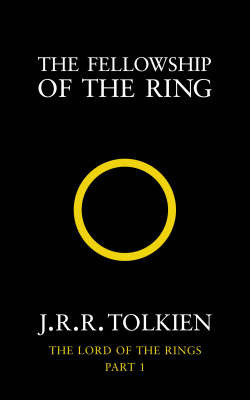 Tolkien, LotR, LotR Reread, The Lord of the Rings, The Shadow of the Past. Bookmark the permalink.